If you’re looking for an innovative and effective way to market a product or promote an event, then the Real Mr. Housewife is for you! Our audience: The Real Mr. Housewife has a combined daily reach of almost 13,000 people throughout WordPress, Twitter, and Facebook. This includes a passionate fanbase that enjoys fine products, theater excursions, Real Housewives and other celebrity meet-and-greets, product events, and many other interests. Those who read Real Mr. Housewife interact on Twitter, Facebook, and on the Real Mr. Housewife blog. This audience engages in conversations about the products and events on the blog and through social media with each other, the products and companies, and with the Real Mr. Housewife himself. If you are looking for a diverse and engaging target audience to promote your product or event, look no further! Advertising avenues: Advertising with the Real Mr. Housewife could include sidebar advertisements, tweeting, articles, facebook posts, contests, being featured on the Event Calendar, Follow Friday mentions, retweets, among other options. Whether you are looking to promote a product, have your book or theater production reviewed, advertise for an event, or raise awareness for your brand, the Real Mr. Housewife will be the perfect way for you to do so! Now TWO sites! Your advertising money can now go twice as far! 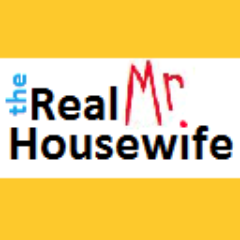 With both RealMrHousewife.com and RealMrCelebtity.com, your ad can reach an even larger audience than ever before. So if you’re looking for a targeted, engaged, and effective way to advertise, look no further than the Real Mr. Housewife. Email realmrhousewife@gmail.com for more information. We look forward to hearing from you!